When doctors are faced with diagnosing someone with a disease, their aim is to give the right patient the right treatment at the right time. However, this can be difficult when doctors are faced with diseases of the brain. Our brains are highly complex organs, housed in the protection of the skull and behind a defence from the rest of the body called the blood brain barrier. These defences present a challenge not only to doctors trying to make a diagnosis, but also to scientists trying to understand and treat these diseases. Dementia is an umbrella term for symptoms that are caused by a number of different diseases, the most common of which is Alzheimer’s disease. As with other diseases, doctors use symptoms to give them vital clues to the underlying causes, but we know in dementia that disease processes may have been occurring undetected for many years before symptoms appear. For dementia, doctors have to be more shrewd, gathering clues from a number of tests. An accurate diagnosis of dementia is important for making sure that people have access to the most appropriate care and support but it is also critical in the in the search for new treatments. When researchers are testing out potential medicines, they need to be sure the volunteers in their study actually have the disease the drug is designed to treat. These researchers also need to know they are testing potential treatments at the right time. As our knowledge of diseases like Alzheimer’s has grown, it has become clear that multiple processes are involved, and that these are triggered at different times. 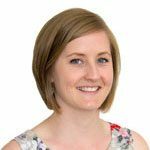 Understanding the timing and interplay between these processes is a key area of focus for dementia researchers. Many researchers are calling for a shift in how we view the diseases that cause dementia, saying that they should be thought of as diseases of mid-life, when these processes are triggered, rather than of late-life, when symptoms start to appear. 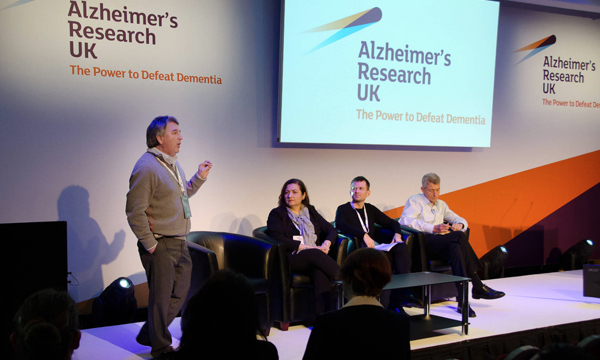 At the Alzheimer’s Research UK Conference this week, we brought together four experts to debate how best to identify the right patient for the right treatment at the right time. Our genes dictate much about us, from the colour of our eyes to our risk of developing certain diseases. The vast majority of dementia cases are not caused by an error in a single gene, but naturally-occurring variation across thousands of genes that can alter our individual risk. Prof Kevin Morgan, who leads the Alzheimer’s Research UK DNA Bank, has been working with colleagues across the globe to create a genetic risk score. He believes this score could be used in the future to pick out which people are more likely to go on to develop dementia. However, genetics will probably not provide all the clues needed for an accurate diagnosis. Memory and thinking tests are currently used by doctors to diagnose dementia, and there is clear room for improving the sensitivity of these tests. If dementia is to be considered as a condition that begins in mid-life, researchers need to understand the changes in our memory and thinking skills as we age, and how these decline more quickly in dementia. Prof Annalena Venneri is working to improve these tests so they could detect subtle hints of early changes in memory and thinking skills, in the hope of diagnosing people earlier than is currently possible. Brain scanning is also currently used by specialist doctors when trying to diagnose which type of dementia someone has. While these scans can’t provide definitive diagnoses, brain scanning technology is constantly improving. Brain scans can now not only provide more detailed picture of the structure of the brain but reveal areas of the brain where culprit proteins are beginning to build up. Prof Nick Fox believes that combining different brain scanning methods can highlight the key biological processes at work in the brain, as well as showing the damage caused by Alzheimer’s disease and other forms of dementia. In our landmark Insight 46 study, Prof Fox is leading a team that is repeatedly performing these scans over time, tracking brain changes. In the future, he says, brain scans will be a key way to provide personalised medicine to people living with dementia, although cost considerations and the number of scanners may limit how many people can access the latest cutting-edge technology. Researchers are also looking in blood and spinal fluid for clues to what is happening in the brain. Researchers like Dr Niklas Mattsson are searching for biological signatures in these fluids that can indicate which form of dementia someone has and how advanced it is. By repeating these tests over time, Dr Mattsson believes that doctors will be able to create a coherent picture of brain changes taking place over time. Researchers right now are working to arm doctors with better tools for their diagnostic toolkit. A single method alone will not hold all the answers, but by bringing together knowledge from a number of sources, we can be more accurate in diagnosing dementia and tracking people over time. Right now, these methods are opening new windows into our most complex organ. They are also improving the way we include people in clinical trials, boosting our chances of finding effective new treatments for those whose lives are touched by dementia. Together, this work will bring us closer to the goal of personalised medicine – of identifying the right patient for the right treatment at the right time. Thanks very much for this.I will follow your research with great interest. I would encourage you to look at the work being done by Professor Dale Bredesen in America. He is obtaining great results with changes in diet, lifestyle and supplements. Has to be worth a try. Good luck. My wife is suffering with this Dementia it will be good to know how far she has gone and what can be done. Should I see our Doctor? thing to do. They would be best placed to be able to talk about this with you.